As an 18-year government veteran whose public service began as a 23-year-old soldier, David Lilley Jr. has seen his fair share of cultural challenges. Although change in the government happens more often than most think, it rarely improves the more mundane, but important, things such as workflows, processes, technology, inefficiency or waste, he says. 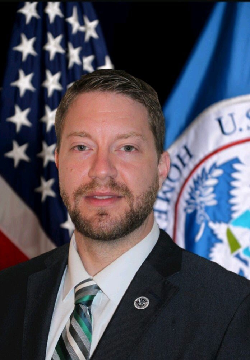 After serving as a geospatial adviser at the Pentagon and as a geospatial analyst in the Army, Lilley landed at the Homeland Security Department in December 2013. His aim was to leverage his experience using geospatial technology and information within the defense and intelligence community to help the nation with deterring advancing threats and creative adversaries. At DHS, Lilley saw an opportunity to focus dwindling resources on critical gaps by adopting an Adopt-Buy-Create model for geospatial data, applications, services and tools. The philosophy behind this model is to leverage existing technology and information investments by the government, to the greatest extent possible, and focus limited resources on filling critical technology and information gaps before implementing a new technology or efforts, Lilley says. Surprisingly, he says, some of the most difficult barriers are related to long-standing cultures where people and/or organizations are reluctant to change. His solution has been to be more flexible and see various viewpoints. “You may have different priorities, but the same end state and goal in mind,” he says. “So work with people and understanding their priorities and desired end state, being flexible to what you consider to be your end state, that sometimes gets people to work together better."